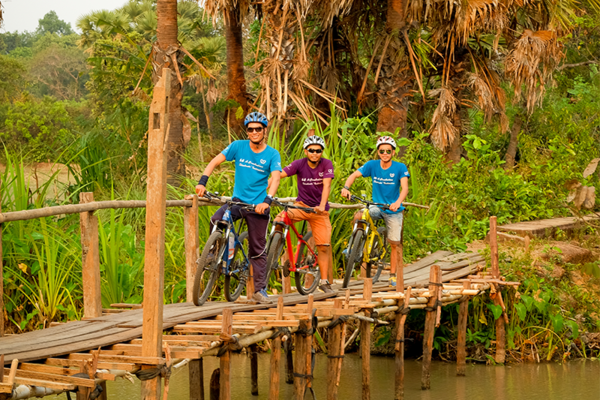 A Half day bicycle tour to see the “unseen” part of Kampot. The tour will take you to a visit of Lotus farm and a rice mill, view vast field of paddy. Lotus farm: On a first stop, visitors will visit a lotus farm where you will be able to learn more about this remarkable flower and watch lotus farmers at work. The farm is also wonderful photo opportunity! 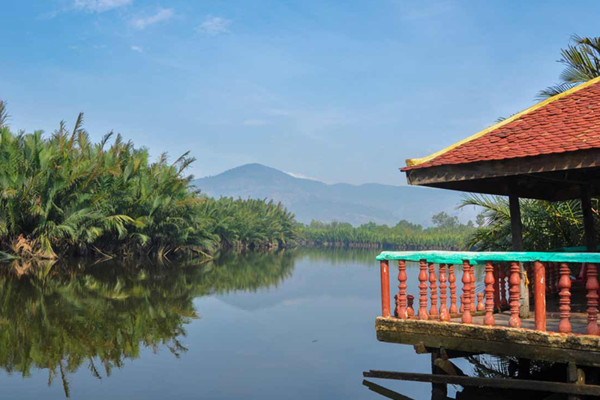 Spectacular rice paddies: After the lotus farm, visitors will cycle along Kampot’s paddy fields. You will also see paddy farmers at work, many of whom still use traditional farming methods to plant and harvest their crop. Visitors will be amazed by this spectacular scenery, and be sure to photograph it! Traditional khmer Noodle: Next stop, visitors will be taking to a local noodle maker. You will be told more about the processes and you may choose to sample some yummy noodles if you wish!. Cambodian Rolled Cake: Next up, visitors will be introduce to the Cambodian rolled cake, a local delicacy of Kampot. Observe the processes involved in the making of this delicious cake, and discover how this simple trade sustains the local community. If you would like to, you can sample a taste! Buddhist Temples: On final stop, visitors will be led to a pagoda by the local community. Here, visitors will be told more about religion in Cambodia, as well as the cultural practices connected to it. 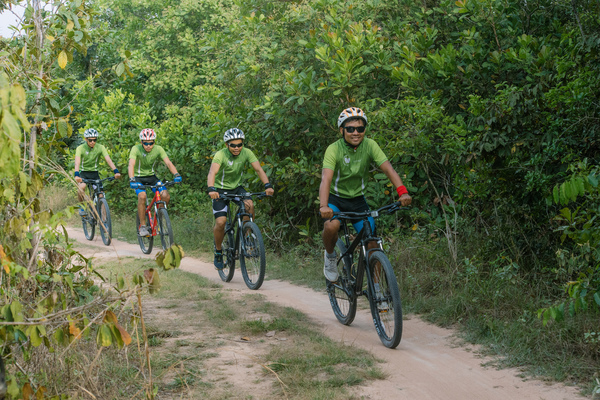 Butterfly tour is an eco-friendly bike tour that seek to introduce visitors to the rich yet often unseens natures of Battambang, Siem Reap, and Kompot. Notably, butterfly tour is locally run by Cambodian students that majority comes from the countryside. They have extensive knowledge regarding Cambodia community, people, and traditions so visitors who are taking our tour guarantee an experience like no other with our local tour guide. Beside viewing truly local and stunning side, visitors will simultaneously support an eco-friendly and sustainable effort that directly benefits rural Cambodian communities. Wear sensible and comfortable clothes.